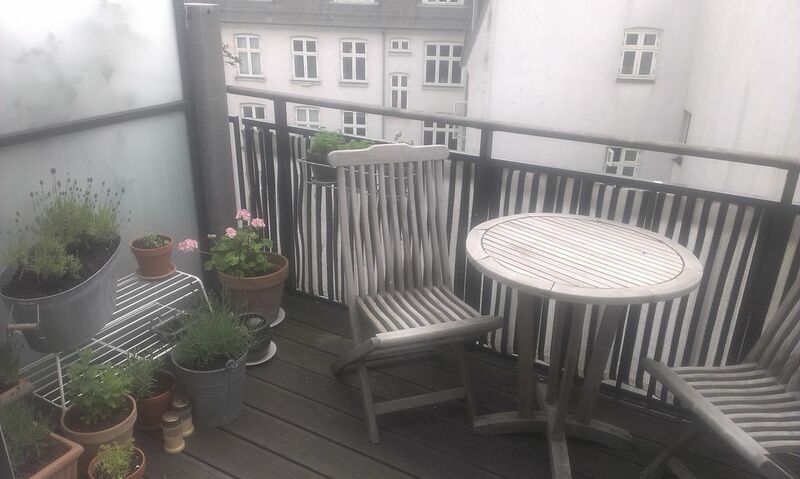 Lovely flat in Elmegade, the nicest and most cosy street in Copenhagen. Very central with easy access to train station, busses and shops. The street is full of lovely small shops, cafes and wine bars. The flat is on the 5th floor, light and very quiet. It has two specious bedrooms with a double bed in each. Kitchen and livingroom in one large room. It also has a large roofterrace and a wonderful shared garden. The garden is the biggest in Copenhagen.